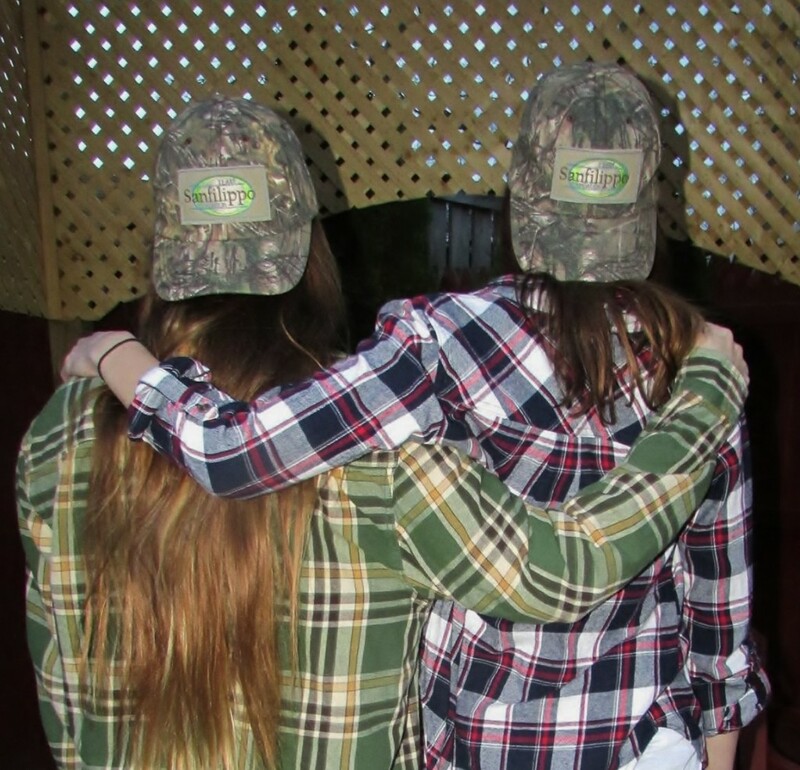 We’ve created some new merchandise where your purchases directly support TSF, Inc. We everything from Pjs to bags, teddy bears, hoodies, cups and so on. 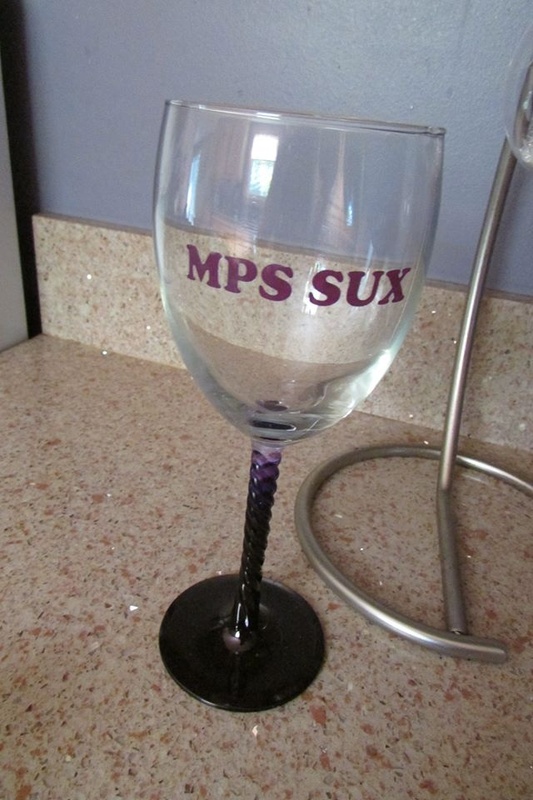 Check out the new merchandise. Christmas is coming and think of someone you know that would appreciate some of these items and support our new trials as well for the kids! Enjoy your shopping! Shipped directly to you! 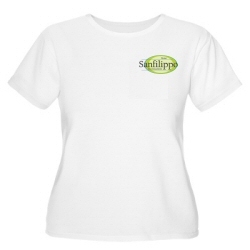 March 5, 2017 – Team Sanfilippo’s new shirt!!!! Money goes straight to Team Sanfilippo and then into helping fund treatments for Sanfilippo children of all ages and stages of the illness. Please consider buying a shirt today!! https://www.booster.com/team-sanfilippo?share=5741488554690352&utm_source=facebook&utm_medium=social&utm_content=team-sanfilippo&utm_campaign=desktop-post-launch-v2&ref=facebook_social_desktop-post-launch-v2&type=1&side=front Pay directly thru the order page and shirts are delivered direct to you! October 24, 2016 – Our 2016 Team Sanfilippo Christmas ornament! This ornament is so special. Each ornament was handmade by a Sanfilippo mother. Each ribbon twist you see was done by hand. 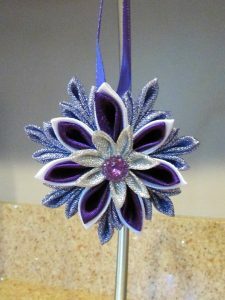 This insanely time consuming task was done to give you the most beautiful ornament ever. 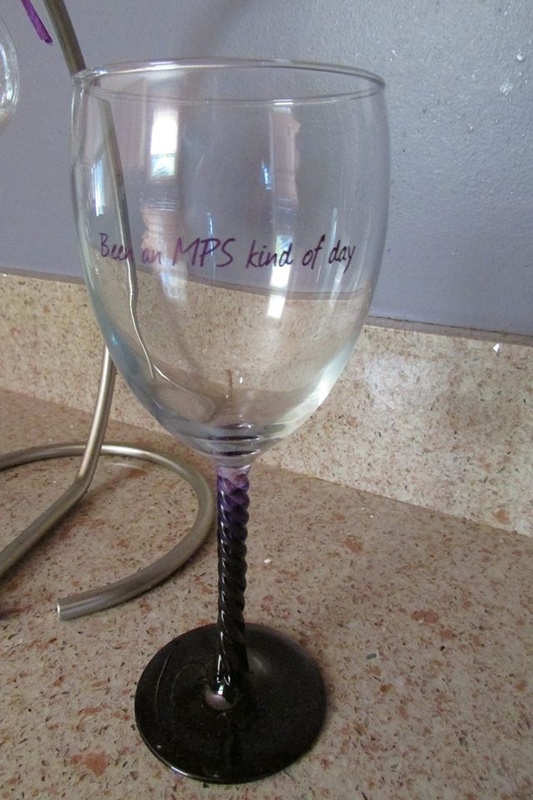 When purchasing this, you are not only helping to fund what we do at Team Sanfilippo, but because we purchased these from a Sanfilippo mom, you are also helping their family. The picture does not do it justice! They are only $10 each. We have a limited number so please do not delay your orders!! Please contact Danielle @ lieuslady@yahoo.com to place your order today!!! Approx 6″ x 6 3/4″. $5.00 each email Danielle @ lieuslady@yahoo.com with details of your order and pay thru our donate button, Thank you for supporting the kids! 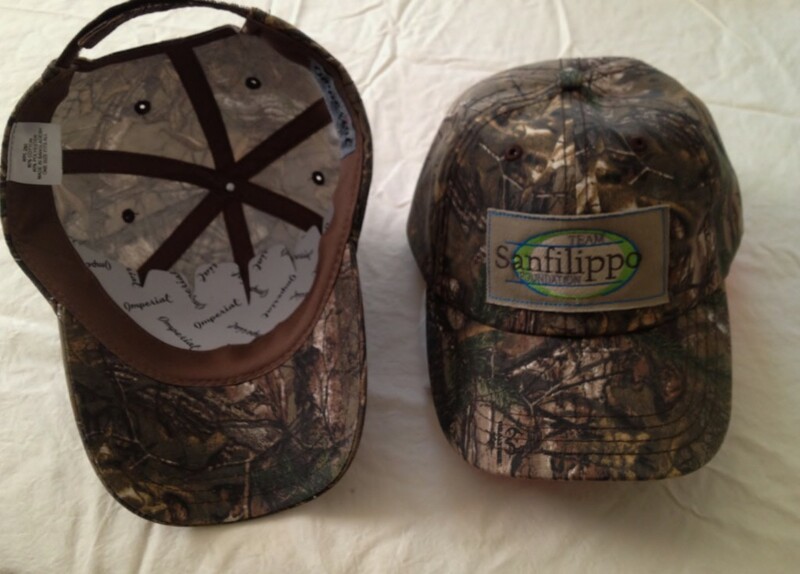 May 28, 2016 – Check out the new line of Camo hats for sale to support Team Sanfilippo! Order for you dad’s for Father’s day or just to have anytime! 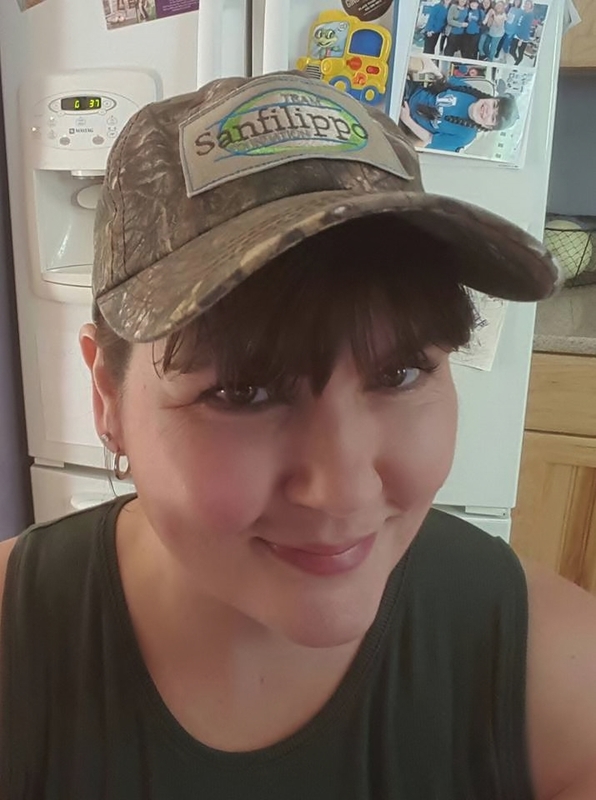 Quality made with vented top, and easy to adjust heavy duty Velcro closure on back, These hats are great quality, not the flimsy stuff that loses it shape! 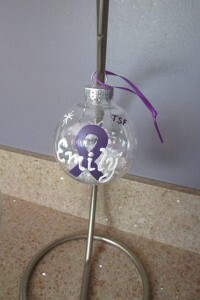 Team Sanfilippo is selling wine glasses and Tree Ornaments this year as a holiday fundraiser ! These would make excellent gifts for family and friends or just for yourself! 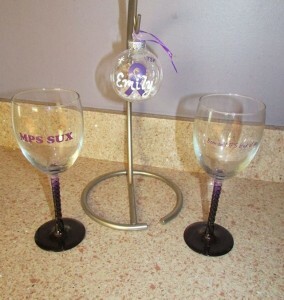 The wine glasses are as seen in the pictures, One glass is $20.00 each or you can purchase 2 glasses for $30.00. The stems are actually purple. 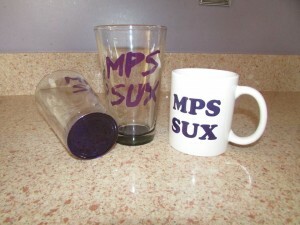 There are two separate logos on them, “MPS SUX” and the other glass, “Been an MPS kind of day” You can mix and match if ordering two. 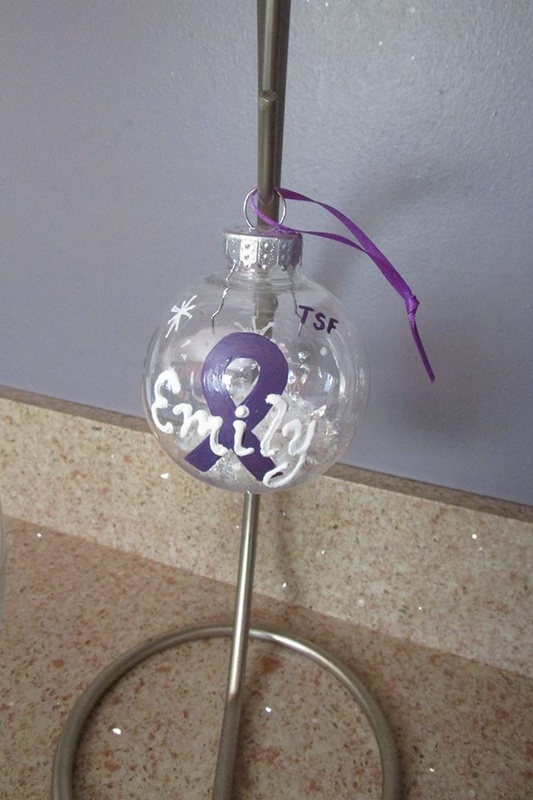 The ornament can be customized with an MPS child’s name or we can customize for an MPS “Angel”, with gold ribbon and gold halo around the first letter of the first name for your angel. We also are offering the ornament for super siblings , there will be a small “SS” near the top but basically the same as the ones for the MPS kids. These are $10.00 each. You can email Danielle @ lieuslady@yahoo.com with your order, please be precise on your order and provide shipping address and any details, along with your contact info for her to contact you with any questions pertaining to the order. All orders will be shipped once payment is made. You can pay thru the “Donate” paypal or CC connection on the website here if you want immediate shipment. Be sure to reference the same name as your order in the payment. Shipping is included on the prices!